The race for who becomes Senate President in the coming 9th Senate is still open. Last-minute attempts by the National Leader of the All Progressives Congress, Bola Tinubu, and other party leaders to pacify Senator Ali Ndume to drop his bid for the Senate presidency may have flopped. Investigations revealed that the leadership of the party and some influential senators met last week and decided to reach out to Ndume, who is contesting the position against Senator Ahmad Lawan. 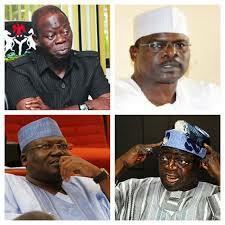 Ndume reportedly rejected moves by Tinubu to make him drop his ambition. Details of how it all happened were still sketchy as of Saturday while Ndume who could confirm or deny the development, did not answer calls put across to him. However, a senator told The Punch on condition of anonymity that a group of Pro-Lawan senator who travelled to Maiduguri on Friday returned to Abuja on Saturday evening without achieving their mission. He said the group of senators had planned to meet Governor Kashim Shettima, also a senator-elect, but were disappointed when they could not meet with him. The senator said, “The governor, who was probably aware of the Pro-Lawan senators’ visit, travelled out of the country before their arrival. Shettima, who is from the same state with Ndume, is believed to be one of the major backers of the former Senate leader for the position. The pro-Lawan senators-elect would have used the opportunity of their visit to convince Shettima on the need to respect the choice of the party by supporting Lawan. 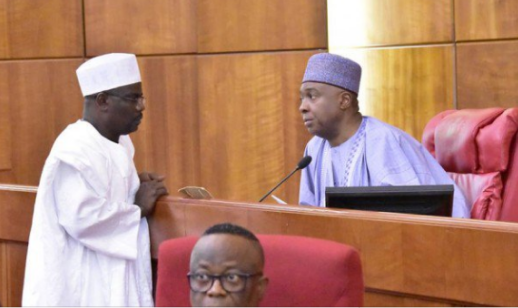 Meanwhile, the leadership of the APC is facing a dilemma following the insistence of some senator-elect to contest the Senate presidency despite settling for Lawan for the job, The Punch has learnt. Tinubu had said those not in support of the party’s zoning arrangement for the National Assembly positions were free to leave the party.